Don’t be confused by mailings. Many voters in our battleground state are receiving mailings from political campaigns and independent groups, some of which contain a form to request a voter registration application or receive an absentee ballot. These mailings may include your telephone number, birth date and voting record. The organizations behind these mailings gather information from multiple sources. For example, your voting record is public information, and the state does sell voter lists to private organizations. However, your birth date is not public, and there is no record of how you voted in any given election. What should you do? Work directly with your municipal clerk’s office or a Special Registration Deputy with a trusted organization, rather than respond to a mailing by an organization which might not understand Wisconsin election law. Start online at the Government Accountability Board’s voter information website . Fill out the form and print, sign and return it to your Clerk. Forms postmarked by the close of open registration on October 17 do not require additional proof of residence. Forms received afterward will require additional proof of residence to be provided at the polling place. Register with a Special Registration Deputy during the open registration period. Register in person at your municipal Clerk’s Office by Friday, November 2. Register at your polling place on Election Day. Proof of residence will be required. If you vote absentee, make sure to follow the instructions! If you complete your absentee ballot or certificate incorrectly, your vote will not be counted and you probably will never even know it. What should you do? Carefully follow the instructions you receive with your absentee ballot and mail it back to the Clerk’s Office as early as possible. It must be postmarked by Election Day and received by November 9. Alternately, you may cast an absentee ballot at your Clerk’s Office between October 22 and November 2. Don’t vote at your polling place if you’ve already returned an absentee ballot. A law passed last year makes it a felony to vote at the polling place if you have already returned a completed absentee ballot. Previously voters who cast an absentee ballot before the election, and then changed their mind or realized they made a mistake, could go to the polling place and vote on Election Day, if their absentee ballot had not already been counted. This is no longer an option. 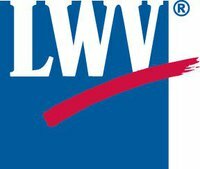 The League of Women Voters of Wisconsin Education Network is a nonpartisan organization that advocates for informed and active participation in government. There are 16 local Leagues in Wisconsin. Find the League on Facebook. ← Join the Early Childhood Community at the Pathways to Quality Conference!